We seem to know intuitively that “New Year’s Resolutions don’t work,” yet making a new start has always been part of the gospel story. In this sermon series, the pastor stays away from more typical resolutions (losing weight, quit smoking, spend more time with family and friends, etc.). He also stays away from typical church resolutions, such as more “reading of the Bible,” praying, and church attendance. 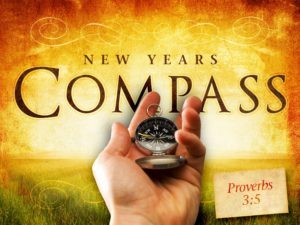 In this series, we are looking to find resolutions we can keep, a kind of true North for the year. We hope this sermon series is supportive and challenging for each of us as we walk through 2019 together.